Rekeying lock services is a cheapest way in order to change your key, than replacing the entire lock. To Re-key a lock is to change the internal parts of a door lock, so the old key no longer operate the lock. In a process of re-keying, we change the size of the pins inside your lock’s cylinder. In other words, the lock is reset to work with a different key. The existing locks on your door are not to be replaced. Instead, only the internal components in your lock cylinder that control the key cuts. Rekeying home locks or business locks is done almost the same way. When you hire locksmith to re-key your lock you insure your home or office security, exactly like you replace the whole lock system. You can hire our residential locksmiths or commercial locksmiths to re-key all of your locks. If you’re a landlord and your tenant move out. Firing one of your staff. A new home or business owner who wants to insure no one else has a key to their property. Matching all locks to be keyed alike. Don’t wait too long if you’ve found any reason to re-key your locks. It doesn’t matter if the issue concern your home or your business. Also no matter if you’ve lost the keys or you have concern about unauthorized person holding your keys. 24/7 Lock Re-key Services In Easton, PA.
We are lock re-key experts locksmith to help you in a time needs. Our locksmiths can re-key your locks while working in a full equipped mobile locksmith shop. Why to waste your time and money looking for new locks, as well as matching the key? We can do it all! Hiring us to re-key your locks, not just gives you the comfort to keep your daily routine, nut also to ensure your security. 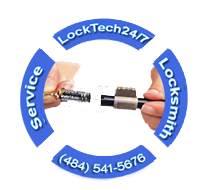 Rekeying lock services done by LockTech24/7 is the easy way to secure your property, and our local locksmiths in Easton are waiting for your call. We work 24 hour a day, 7 days a week to provide you with emergency locksmith services, any time you need. Whether you are moving into a new home or a new business, LockTech24/7 can set all of your locks to operate with one key. Either you have 2 locks or 10 locks, we can match the key to all of them. This will assure that only you have access to your home or your office, not to mention a peace of mind.